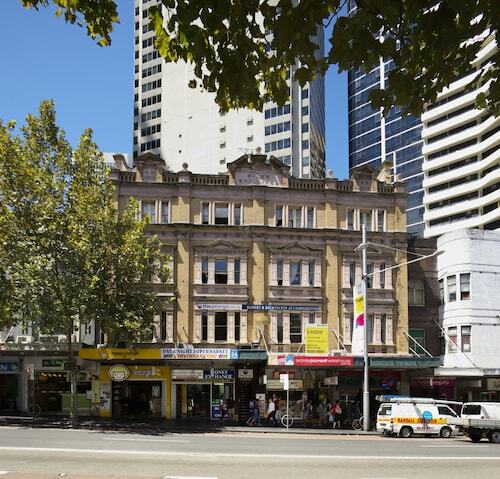 Located in Sydney Central Business District, this hostel is steps from World Square Shopping Centre and Capitol Theatre. Sydney Town Hall and Paddy's Market are also within 10 minutes. Capitol Square Light Rail Station and Paddy's Markets Light Rail Station are within a 5-minute walk. 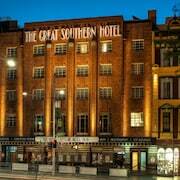 Located in the heart of Haymarket, this hotel is within a 5-minute walk of Paddy's Market and Capitol Theatre. 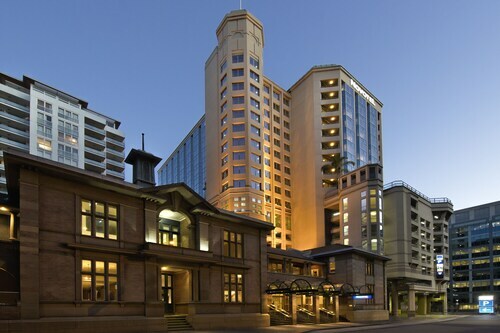 World Square Shopping Centre and Powerhouse Museum are also within 10 minutes. Capitol Square Light Rail Station and Central Light Rail Station are within a 5-minute walk. Situated in Haymarket, this hotel is steps from Chinese Garden of Friendship, Paddy's Market, and World Square Shopping Centre. 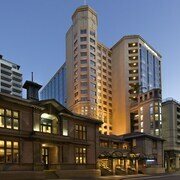 Capitol Theatre and International Convention Centre Sydney are also within 15 minutes. Capitol Square Light Rail Station and Paddy's Markets Light Rail Station are within a 5-minute walk. 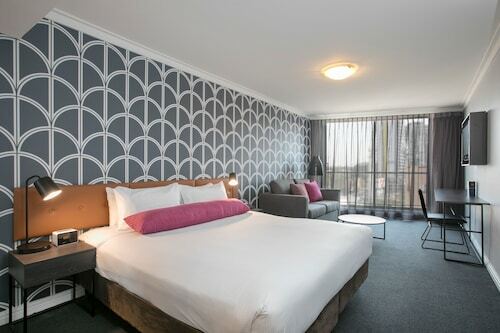 Located in the heart of Haymarket, this hotel is within a 10-minute walk of Paddy's Market, Capitol Theatre, and Powerhouse Museum. International Convention Centre Sydney and World Square Shopping Centre are also within 15 minutes. Paddy's Markets Light Rail Station is only a 4-minute walk and Capitol Square Light Rail Station is 6 minutes. 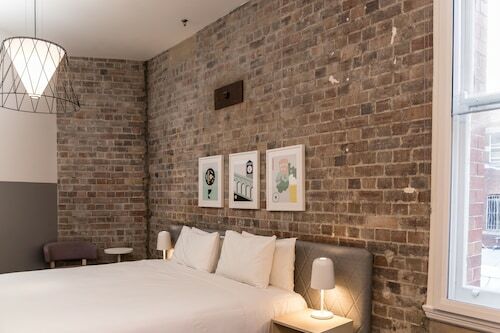 Situated in the entertainment district, this hotel is within a 10-minute walk of Paddy's Market, Capitol Theatre, and World Square Shopping Centre. Sydney Town Hall and International Convention Centre Sydney are also within 15 minutes. Capitol Square Light Rail Station and Paddy's Markets Light Rail Station are within a 5-minute walk. If you are thinking of holidaying in the state of New South Wales, visit the state capital, Sydney. 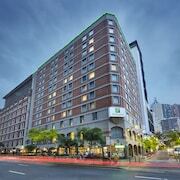 Situated 2 kilometres south of downtown, you will come across the popular district of Haymarket. On the hunt for iconic sights such as the Sydney Opera House, Bondi Beach and Sydney Harbour Bridge? Then look no further than Sydney. If you consider yourself a true blue art expert, Australian Galleries is the perfect place for you. Featuring an array of unique creations, you'll be delighted you dedicated a few hours to enjoy the experience Check out the amenities at the Park Hyatt Sydney and Pullman Quay Grand Sydney Harbour to be close by. Visit Akira Boutique if you're in the mood to splash some cash or just check out the deals. If this spot is more your thing, consider the Establishment Hotel and Zara Tower - Luxury Suites and Apartments. 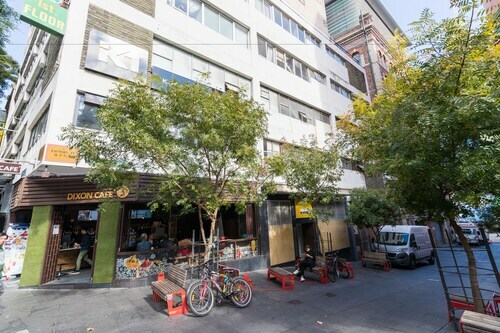 If you're on the hunt for a reasonably priced hotel in Haymarket, you should have a look at the Sydney Central Inn - Hostel and Westend Backpackers - Hostel. From time to time you have to spoil yourself! 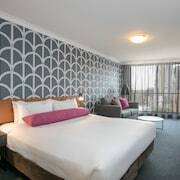 Have a squiz at the APX World Square and Adina Apartment Hotel Sydney Central, a couple of the more upmarket hotels in Haymarket. After a relaxing sleep, get outside and follow the scent of roasting coffee beans to Wake Up! Sydney. This much-loved Haymarket cafe offers all the delectable pastries and caffeinated beverages you'll need. When you start craving a bigger meal, Vibe Hotel Sydney is the place to go. Whether you're dining alone or with a group, this popular eatery is sure to satisfy. 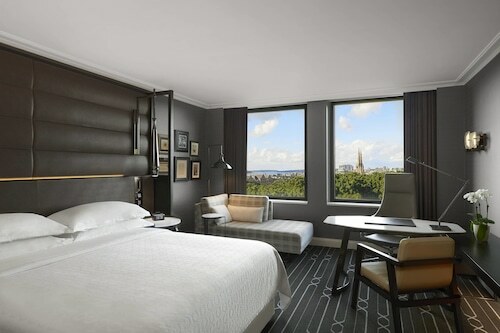 Having trouble finding that perfect Haymarket hotel deal? 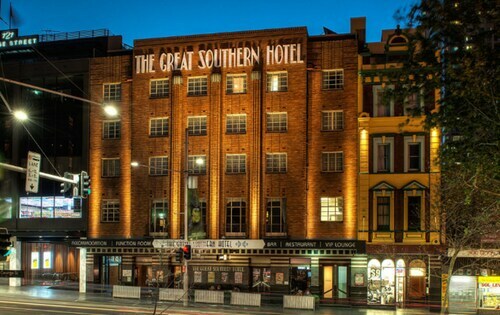 It's worth researching the accommodation options in the Sydney Central hotels guide and the Wotif Ultimo hotels guide. Turn your plans into lifelong memories with Wotif. From hotels to activities, Wotif will make it happen! How Much is a Hotel Room in Haymarket? Hotels in Haymarket start at AU$50 per night. Prices and availability subject to change. Additional terms may apply.